Our Annual General Meeting (AGM) will be on Saturday 2nd March 2019, starting at 10.00. 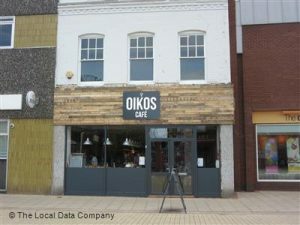 We will be meeting at the Oikos Cafe on Erdington High Street. The cafe is next to HSBC bank just a short walk from our office, see the map below. We will be meeting upstairs, tea, coffee and biscuits will be provided. All Advance Credit Union members are invited to attend, this is a great opportunity to hear about the work we’ve been doing and to approve the annual dividend payment on members’ savings. We will also explain to members some of the exciting plans we have for the future. Please note that the credit union will be closed to customers on Saturday morning to allow members and staff to attend the AGM.